The Park Slope Food Coop is a membership only organic produce supermarket. It is the largest consumer owned grocery store in the United States. Membership is open to all who wish to apply with requirements of working once every four weeks in exchange for 40% off your purchases. The PSFC offers products ranging from pasture fed meats to kosher poultry, freshly baked breads and other organic and locally bred products. 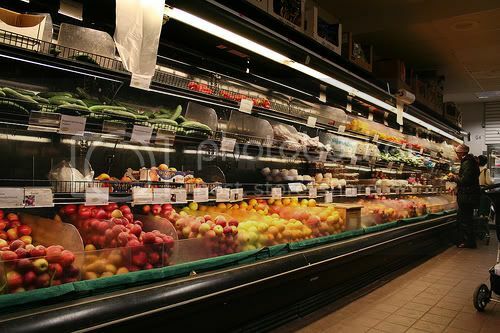 All the sales are brought in every week, making sure everything is fresh and top-of-the-line. The PSFC promotes anti-animal testing and avoids chemically engineered produce. By joining in on the Coop you become a distinct member of a learning and working community. To become a member you can stop by the Coop at 782 Union Street in Brooklyn or call Membership Office at (718) 622-0560.